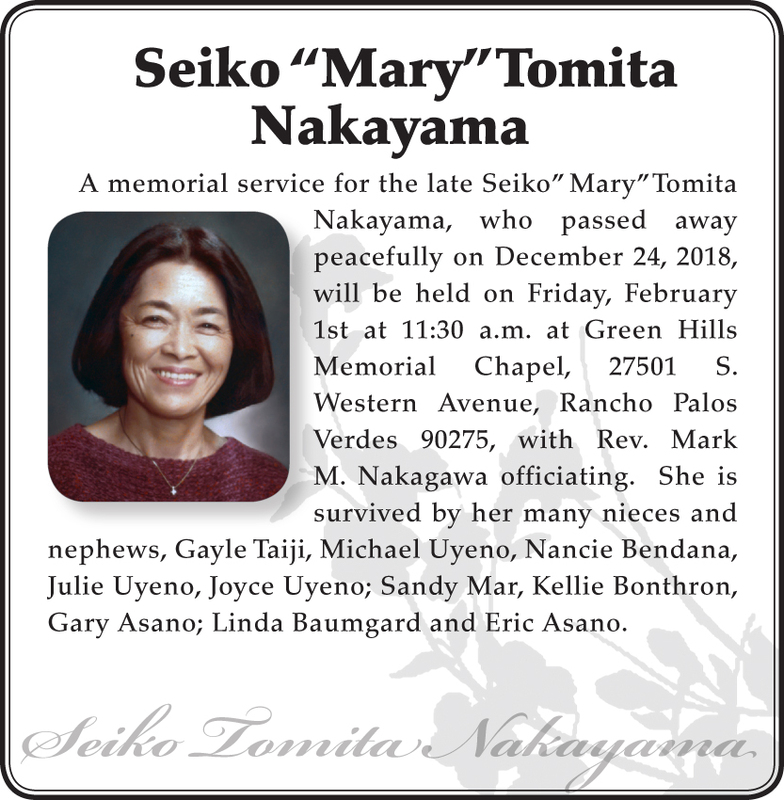 A memorial service for the late Seiko” Mary” Tomita Nakayama, who passed away peacefully on December 24, 2018, will be held on Friday, February 1st at 11:30 a.m. at Green Hills Memorial Chapel, 27501 S. Western Avenue, Rancho Palos Verdes 90275, with Rev. Mark M. Nakagawa officiating. 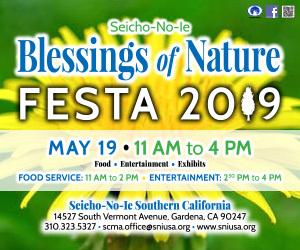 She is survived by her many nieces and nephews, Gayle Taiji, Michael Uyeno, Nancie Bendana, Julie Uyeno, Joyce Uyeno; Sandy Mar, Kellie Bonthron, Gary Asano; Linda Baumgard and Eric Asano.